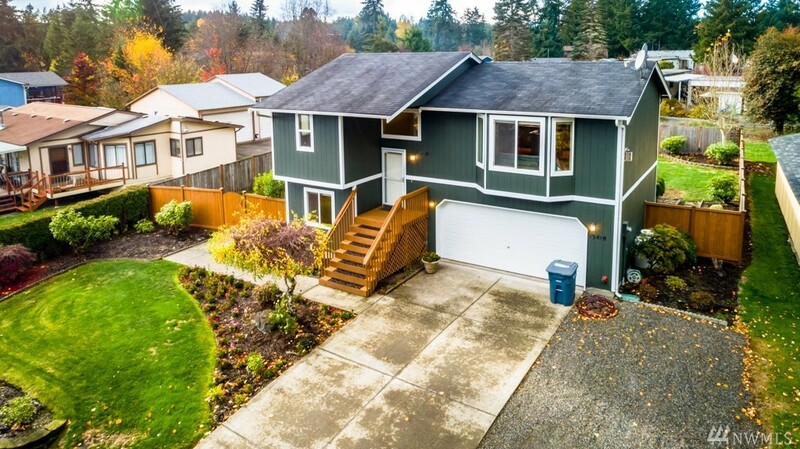 Meticulously maintained Bonney Lake home with extraordinary valley & mountain views! Open, well-lit floorpan that has space & flexibility for all your needs! Inviting living, kitchen & dining area is great for entertaining while enjoying incredible views. Spacious master bedroom & additional room previously used as an office upstairs. Great floor plan downstairs offers additional den/living area, a full bath & another bedroom. Gorgeous landscaping in front & back yard! All appliances included!